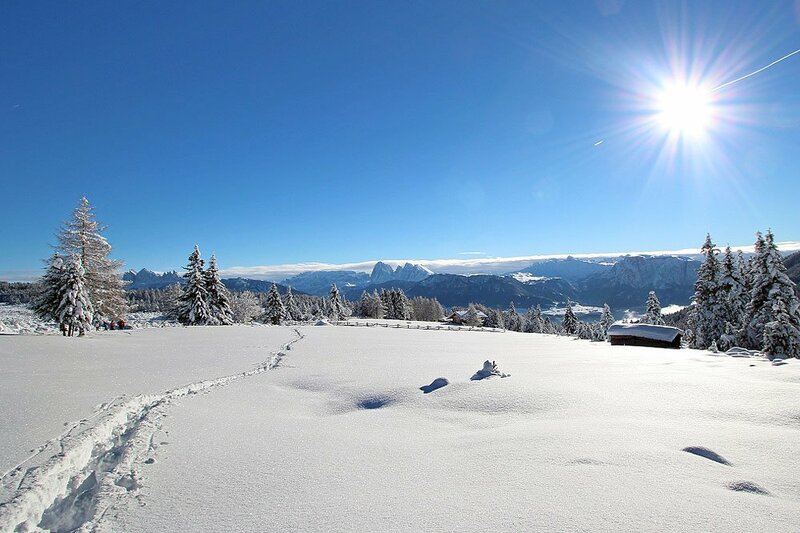 In the winter, the Isarco Valley transforms into a beautiful wonderland made of powder snow and ice crystals. At the Pension Auerhof, there is no time for hibernation, because now here in the mountains it is time to hit the ski slopes! Naz/Sciaves lies near several fantastic ski resorts that guarantee plenty of skiing and snowboarding fun on more than 200 kilometres of slopes. 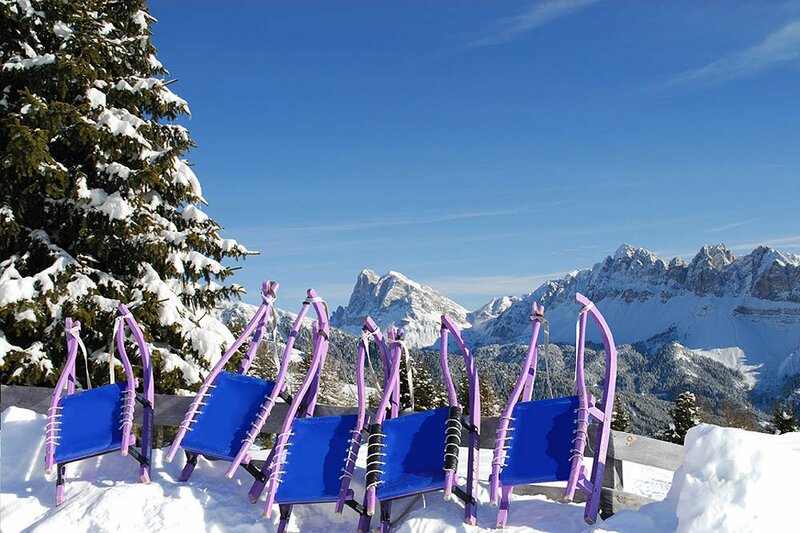 The ski regions Plose, Gitschberg/Val Giovo, Plan de Corones, Val Gardena, Monte Cavallo and Racines are all within half an hour drive and await you during your winter holiday with perfectly groomed slopes, magnificent mountain air, fantastic views and tasty meals in traditional alpine huts. From our local mountain – the Plose – you may enjoy a breath-taking view of the peaks of the Dolomites and the jagged ridge of the Alps. Suggestion: If you arrive without your car, during your winter vacation in the Isarco Valley you may take advantage of the free ski bus to the ski resorts on Mount Plose, Maranza and Valles. Even those guests, who wish to experience the joys of winter far off the slopes will have plenty of fun in Naz and its environs. Explore the splendid nature – resting under a white blanket – during guided snowshoe hikes on the apple plateau or on Mount Plose, or take advantage of the extensive network of cross-country trails. Ski tours in the mountains take you into a marvellous landscape of glistening snowfields and silent, frosty forests. On the frozen lakes in the surroundings, amidst the snow-capped Dolomites, curling and skating fun awaits you for hours of joy. Whether you choose hiking in the mountains or other sports activities in the valley, fantastic winter impressions are guaranteed during your winter holiday at the Pension Auerhof! After a day in the cold outdoors, the cosy sauna at the Auerhof will warm up your frozen fingers and toes. Another experience that you should not miss during your winter vacation in the Isarco Valley: a ride on the “RudiRun”. This toboggan run in the ski resort Bressanone/Plose is 10 km long; it is, in fact, the longest toboggan run in South Tyrol and offers great winter fun for young and old. An exceptionally romantic experience is a toboggan ride in the moonlight! Suggestion: At the valley station Plose, the rental station offers not only skis and snowboards, but also toboggans, touring skis and snowshoes! 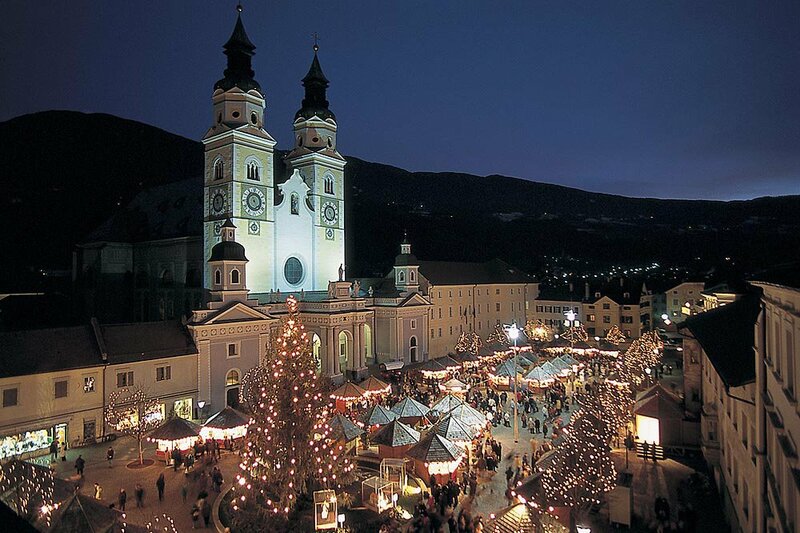 After an exciting day of sightseeing or sports activities, a short evening trip to Bressanone is a great choice. On winter nights, the beautifully illuminated old town welcomes you with its quaint Christmas Market, which with roasted chestnuts, mulled wine and punch not only warms up your body, but also the heart.